It’s your first day at work. Your boss lets you know that the dress code is “business casual”. Honestly, you don’t know what that means; you rack your brain trying to think about exactly what that is. You leave your stuffy suit behind and decide to wear your strapless sundress. When you arrive to work, your co-workers look nothing like you. Embarrassed, you realize that a little clarity on business casual is needed. For many recent grads just like me, the days of throwing on sweat pants and a t-shirt just to make it to class are long gone. My mornings before class would be hectic and frustrating if I had no clue what I was wearing. During my undergrad days, I somehow expected my closet to work magic for me (not!). Transitioning into the work force means new clothes, and I was ecstatic about trading my TOMS for heels and my Levi’s for slacks. Business casual may seem simplistic to some, but I find that a lot of people have a hard time understanding exactly how to dress for work. Appropriate attire may be discussed a few times during the undergraduate experience, but when you enter the working world, you are bombarded with the realization that business professional (compared to business casual) has distinct rules. The definition of business casual is vague, and a lot of times there is no general agreement. Factors that affect the dress code at work include the size of the company, the climate outside and the culture of the workplace. The office expectation here at Clairemont is business casual with the understanding that formal events may require business professional. Here are a few tips that I generated if you, or anyone you know, fears being a little too causal at work. 1) Less isn’t more. For the business world I have found that showing a ton of skin isn’t in vogue. Dress with modesty. 2) Play it safe; slacks and/or khakis are your best bet if opting for pants. 3) Jeans are not considered business casual. 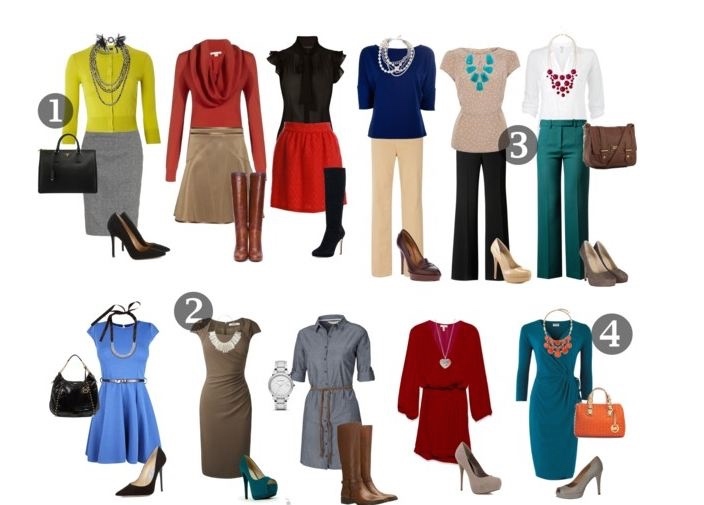 4) Dresses and skirts should reach knee length or longer. Avoid skirts with low cuts or high slits. 5) Knit shirts, sweaters and polos work great with mixing and matching. 6) Strapless tops and dresses should be avoided at all costs. 7) Open-toed shoes are acceptable, but be careful with flip flops and sandals in the summer. 8) Blazers or sports coats can help to polish your look. 1) Would I wear this to bed? 2) Would I wear this to the bar? 3) Would I wear this to a Halloween costume party? If you answered “yes” to any of these, choose something else for the workday. Hope this helps someone tomorrow morning!